The Camp Nou is preparing to host the first European Regional Final of the PES League 'Road to Cardiff', a tournament organised by Konami with the video game Pro Evolution Soccer (PES 2017). On Saturday 11 February, the top 16 European finalists will face each other at the home of FC Barcelona in an attempt to reach one of the four places in the final, which will be played in Cardiff. This European final at the Camp Nou, which will award cash prizes to the top eight, will start at 11.00am CET and end at 5.00pm CET. During this time, the 16 players will face each other in a knockout system and the four winners will reach the final of the PES League ‘Road to Cardiff’, coinciding with the final of the Champions League. The final prize is $200,000. To find out the last four of those qualified, the competition will be divided in the following way: first, there will be a preliminary stage, with four groups of four teams. The top two of each will reach the quarter-finals, then the semi-final, the third-fourth place playoff and the final. 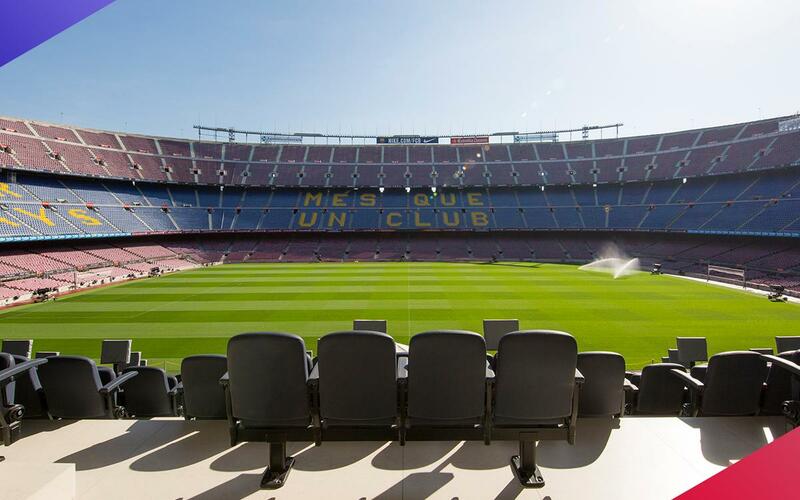 The day at Camp Nou will be the last of the season for the European phase. Later, Liverpool’s Anfield stadium will host the final of the second seasons, from where four more teams will leave. As well as the eight European teams, the final of the Cardiff will be completed by the four best from America, the two from Asia and two from the rest of the world phase. The agreement between FC Barcelona and Konami has made it possible for this stage of the PES tournament to be played at the famous Camp Nou. Last summer, the digital entertainment company, creator of the Pro Evolution Soccer franchise, became the Club's Premium Partner for the next three years. In this way, and since then, Barça is loyally represented in the series of these games with the Team and Player ID system, which ensures that the Barça squad in PES 2017 perfectly reflects the style of play of the first team, both collectively and individually.